Foresteria Valdese Venezia is a holiday home in Venice near Piazza San Marco and the Rialto Bridge in the historic heart of Venice. It is an ideal starting point for a visit to Venice and its lagoon. At Palazzo Cavagnis, a typical 18th century Venetian palace, you will find comfortable accommodations and a heart-warming environment knowing that you are also contributing to sustaining the solidarity projects of the Waldensian Diaconia. The Waldensian Church (Union of the Methodist and Waldensian Churches) and the Cultural Centre are in Palazzo Cavagnis. Religious services are held on Sunday mornings at 11.30 am. Concerts are held Wednesdays and Saturdays from September to June in the Salone Busetto Concert Hall on the Piano Nobile (1st floor) at 06.00 pm. We want to thank all our guests who have helped us to improve our services sending us their reviews and their suggestions. We have been able to implement some of them, we have others in evidence waiting for appropriate permission and budget to be able to proceed. This is what we have done: installed in some rooms the hairdryer (for the others we have some in reception handed on request); put the dispensers of bath/shampoo in the showers to reduce waste of single-serving samples; installed the jams and honey distributor to lessen the individual packages; added hooks and hangers in the rooms; added some mirrors (we have yet to put other!) andwe are changing most of the lighting using LED bulbs. decorations, others with a view of the canals or the city rooftops, all provided with private bathrooms and three with a shared bathroom. Marco and the Rialto Bridge, walking distance from the train station and from Piazzale Roma; also accessible by vaporetto boats. floors, baggage deposit and free wi-fi available throughout the building. Foresteria Valdese Venezia allots its earnings to the Waldensian Diaconia, which manages social and welfare services for the elderly, minors, migrants, refugees and disabled people, without any discrimination. Venice is expensive, so finding quiet, clean and comfortable accommodation at a reasonable price is very welcome. 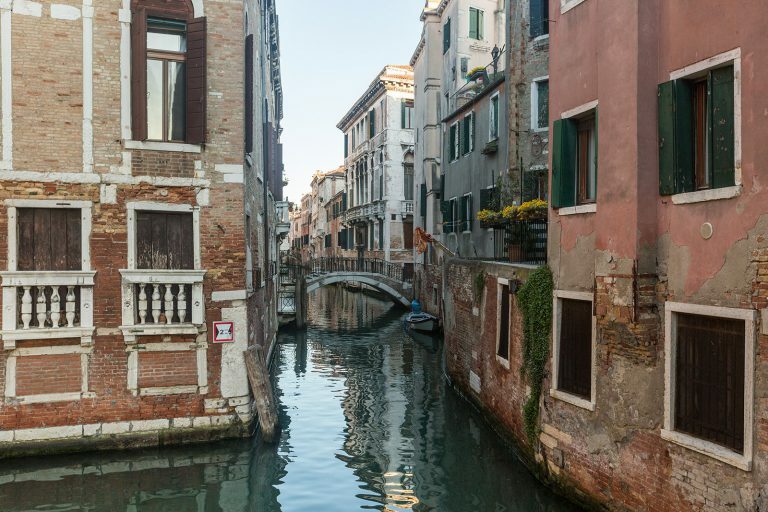 Like many places in Venice it isn't easy to find, so read the directions carefully! Yes, there are rules, but this means you can get a good night's sleep. Breakfast is quite simple, but with a reasonable choice and more than enough to eat. Fans but no air-con. If you want all the frills and luxuries, fine, pay hotel prices, but we were very happy to stay at the Foresteria. We found the staff friendly and helpful. I'm not the type to spend a lot of money on lodging. As long as I can get a quiet night and the place isn't a dump, then I'm satisfied. Now Venice is a very expensive city. If you want to stay in a hotel there and not burn a ton of money then this is your best option. Unless you are going in the Winter like me (and outside of Carnival or the film festival, then you definitely need to make your reservation well in advance. This place is very popular. It's reasonably close to Piazza San Marco but far enough away that you get away from the crowds and the canal on one side also helps keep it quiet. There are frescoes on the walls and ceilings in various places and while it is not fancy, it definitely exudes character and history. Love this out-of-the-beaten path location. The history of the building... architecture, marble and wood, and frescos on the walls made for such a great feeling of really being in Venice. We were close to everything but not in high traffic area. The nearby square is cozy and fun. Breakfast is adequate (bread, yogurt, and cereal), though we went to the square for a cup of good coffee :). Do need to observe early quiet hours, and no alcohol in room.